We will keep the consultation open until 1st December 2018 and there are feedback forms in the shop or you can download one here and return it to the Clerk (clerk@southstoke.org.uk). There has much work been done to explore options of a new shop, a new village hall, and a combined village hall/shop. 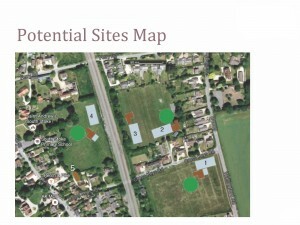 Currently there are five potential locations: the Rec (two possible locations), The Glebe field, the current location of the village hall and The Park. A well-attended consultation evening was held on 10th February 2017 with further follow-up encouraged for the weeks that followed. Please download the materials shown and discussed here.